This liquorice allsorts birthday card is fantastic to wish someone a lot of fun on their birthday. Send some birthday cheer with these bright and colourful sweeties! The design features a scattering of yummy liquorice allsorts, in pink, yellow, orange, blue and brown. 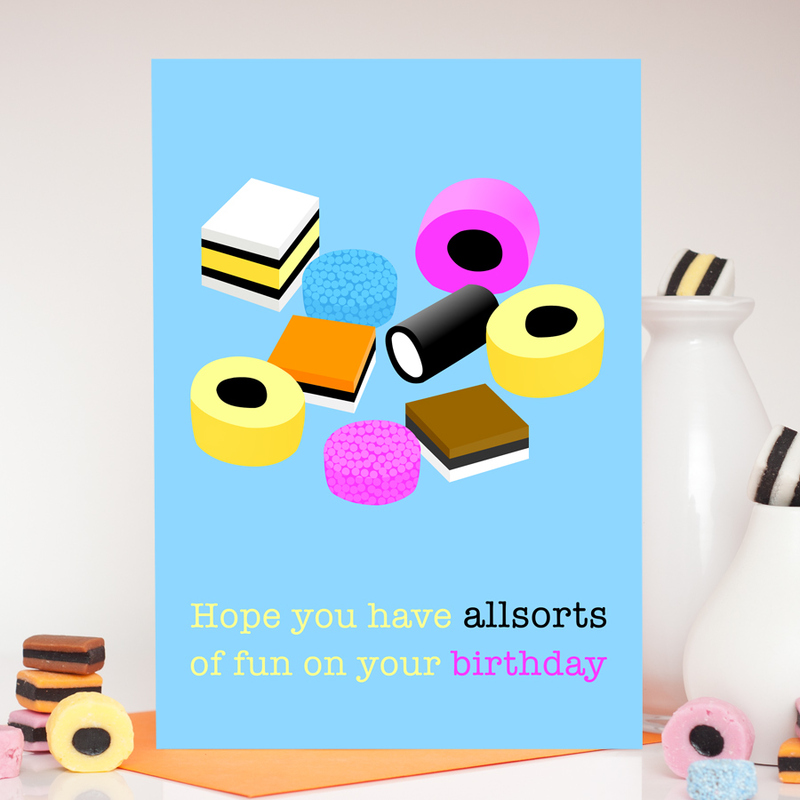 These are set against a beautiful blue background, with the phrase ‘Hope you have allsorts of fun on your birthday’. This card is available in A6 and A5 size. 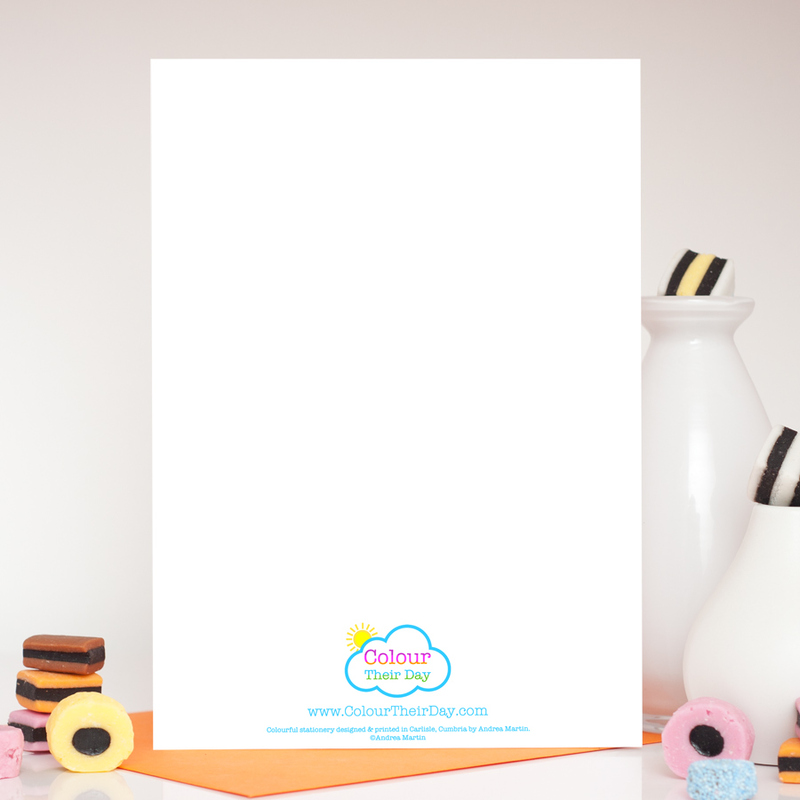 The A5 size can also be personalised by adding a name or a name and age into the design. Please select which you would like and fill in the relevant details. 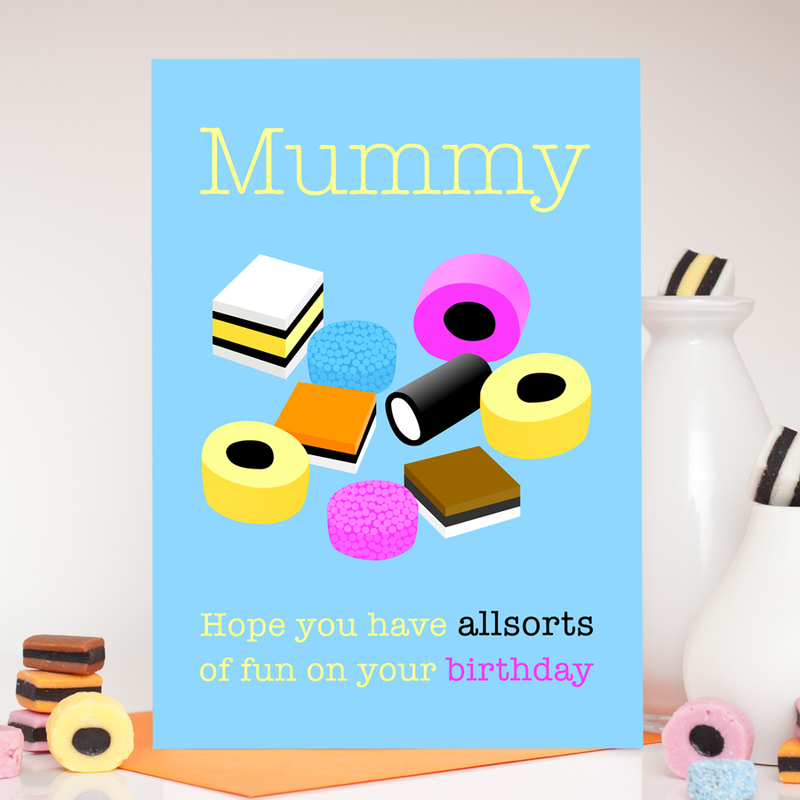 To make the card suitable for both boys and girls, you can also choose to have the word ‘birthday’ in pink or orange on all of the designs. The card is blank inside for your own special message. Enter the name or name and age you would like on this card. Be the first to review “Liquorice Allsorts Birthday Card” Click here to cancel reply.